On Sunday Mac and I had a Date Day. Not a Date Night, a Date Day. An entire 10 hour chunk of time that was just the two of us, no kids, doing stuff together- like eating a meal, going for a walk, shopping, etc. I jokingly called it “Mac Day” because I’d organized it to be things that Mac liked. He’s the stay at home parent, and he does nice things for me daily (packing my lunch, running errands, bringing me home flowers for no reason, etc. ), so I wanted to reciprocate. However, since he’s a guy, I can’t just bring home flowers. So, I planned a day- all of it a surprise for him. He knew when we were leaving and that we’d be in the city, but otherwise, he was in the dark. I planned a whole day in Manhattan using HowAboutWe.com (and no, this isn’t a sponsored post or anything!). I happened to notice a Sponsored Post from them on my Twitter feed because it mentioned bacon- specifically Baconery (a bacon bakery). Mac likes bacon. I wanted to take him to the Baconery. So, I clicked through and explored HowAboutWe.com. They had so many cool date ideas I thought Mac would like, that I actually paid for the membership so I could book them! I think it actually worked out to be a good deal financially because much of what we did on our Date Day was free with our membership. Since we live in the burbs of NYC, I’m not sure it makes sense to keep paying monthly for the membership, but perhaps a few months out of the year, when there are dates we like, it would be worth it. Our first stop was Baconery on the Upper West Side for a late lunch. In a word, yum. Some of the food we tried- at Baconery, Murray’s, and Bees Knees. Our HowAboutWe “Bacon Me Crazy” date entitled us to drinks, sandwiches, “bacons” (ie a strip of bacon dipped in chocolate), and baked goods to take home. I got the Wilbur (basically a BLT with avocado), and Mac got the Elvis (bacon, banana, honey). For dessert, I had a bacon strip dipped in chocolate with rainbow sprinkles, and Mac got bacon strip dipped in chocolate sprinkled with more bacon (did I mention he likes bacon?). There was a jazz duo (Beautiful Pussycats) playing while we dined cafe style. After that, we were stuffed, so we got a chocolate peanut butter bacon cookie and a chocolate bacon Rice Krispy Treat to go. From there, we headed all the way down to the West Village where we would spend the rest of the day. I didn’t want us to feel rushed, but I also didn’t want us to feel bored, like we had a lot of time to kill, so I chose to book a Stray Boots Greenwich Village scavenger hunt- again through HowAboutWe’s “Urban Adventure” date. This worked out really great. Since the rest of our scheduled activities were happening in the West Village, we could do the scavenger hunt at our leisure, in between the other scheduled activities. It was fun to wander less than aimlessly, with a purpose, and explore the area (although at the end of the day Mac and I agreed that we weren’t sure we would have paid full price for it had it not been included in our HowAboutWe membership). So, standing under the arch in Washington Square park, we started the scavenger hunt. 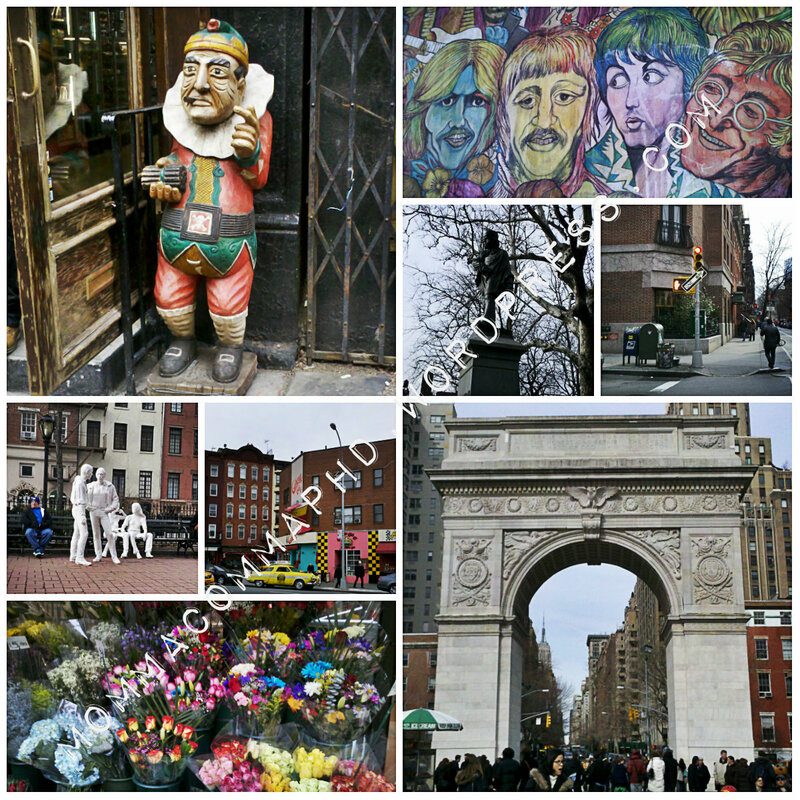 Just some of the sites we saw on our Stray Boots Greenwich Village Scavenger Hunt. At 4:30, we took a break at the Bees Knees Baking Company. Our HowAboutWe “What’s the Buzz?“date included a drink and two cake cups each. We chose red velvet, honey bourbon, banana marshmallow, and chocolate peanut butter. We shared the red velvet and honey bourbon at the bakery, and took the other two home. We enjoyed sitting and people watching at the bar facing the front windows, and it was nice to sit and take a break; however, we both felt the cake cups were just OK, not anything spectacular. After our little break, we resumed the scavenger hunt. We were both thrilled when it took us to Murray’s Cheese Shop. 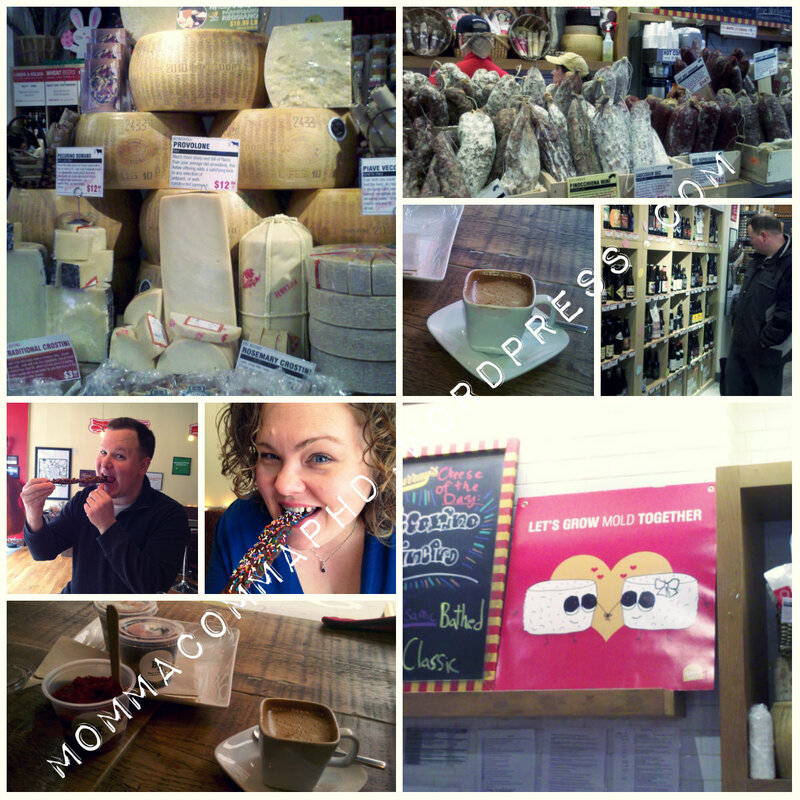 Mac and I love us some stinky cheese, and Murray’s is the place to go for any and all cheese (except maybe American Cheese?). Since we were there, we decided to try some cheeses. A friendly and knowledgeable cheese monger gave us samples of several Aged Goudas and we settled on Aged Goat Gouda and Roomano and took home two big hunks of cheese. After all the sampling at Murray’s, it was time for our next stop- the highlight of my ‘Mac Day’ festivities- Goorin Brothers Hat Shop for our “Hat Trick” date. Ages ago, I had recalled Mac saying that he’d really like a hat, but was never sure what fit him, how it was supposed to look, etc. So, I figured that this “Hat Trick” date would be perfect. Surely a hat shop that had been around since the 1800s would know what he should get, and have it in a size that fit him. He was totally taken aback that I’d remembered, and totally stoked to find a hat. 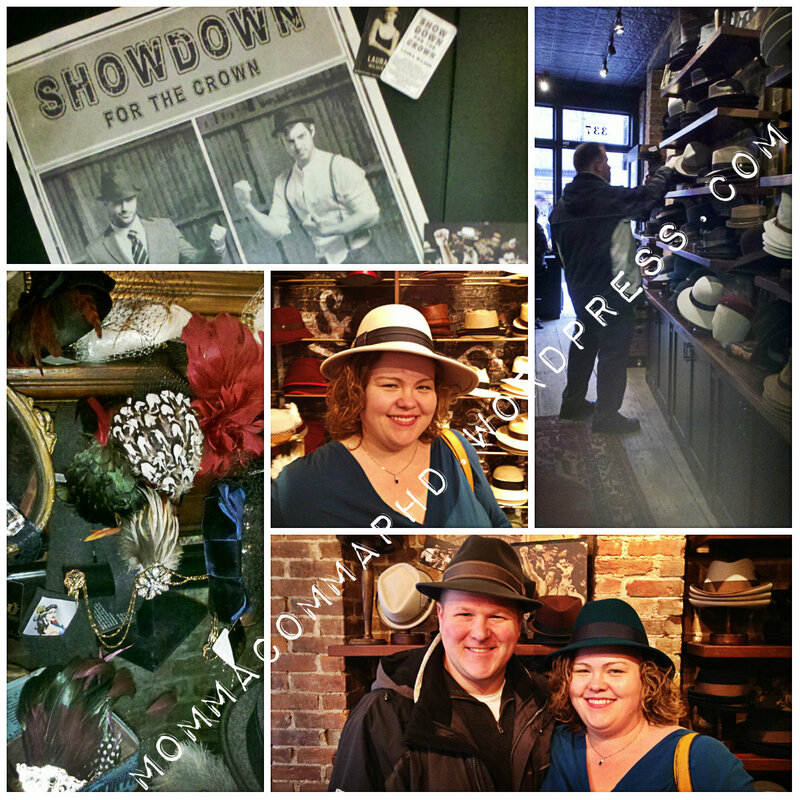 The sales guy offered us Bourbon while we browsed (part of the date) and tried on hats. He offered suggestions on what would work, what fit, told us the history of the various hats as well as the hat shop. In the end, Mac narrowed it down to two different hats and wound up choosing the first hat he’d put on when we first walked in (made all the nicer by the substantial discount our date entitled us to). I think he looks quite dashing in it, and am looking forward to occasions on which he can wear it. Goorin Brothers had plenty of stuff for the ladies as well, but this was “Mac Day” so I only browsed for myself! With hat in hand, we left Goorin Brothers and picked up our scavenger hunt where we left off, shortly completing it in Washington Square Park near where we had started. At that point it was almost 7pm, so we decided to see if we could be seated at the restaurant early for our 8pm reservation (and knowing it was an ungodly early hour for dinner in NYC, we didn’t have trouble doing so). Another HowWeMet date (“Crave Worthy“) was our dinner at The Quarter. We had a smokey tomato bisque with grilled brie croutons, wine, and two burgers with fries. Everything was delish (although not amazing enough that we’d make a return trip)- and the menu board had several intriguing items. With that, our Date Day was over and we headed back home. Our favorite dates- and the places we’d return on our own- were definitely Baconery and Goorin Brothers. The Bees Knees and scavenger hunt were fun, but I’m not sure that we’d pay for them outside the HowAboutWe membership. That said, Stray Boots has a Museum of Natural History scavenger hunt that might be fun to do (since we have a family membership to the museum). The final surprise, for both of us, was that the kids were already asleep when we got home! A big thank you to my mom for babysitting! It was really nice to get to spend a rare day alone together. It was also a trip doing new and different things together. Now that we have two kids, opportunities for adventures seem few and far between (having been replaced with parenting misadventures it would seem!). I’m looking forward to Nemo being weaned so that we can perhaps get an entire weekend alone together! It just so happens that our date, and this post coincided with Kelly’s Show Us Your Life: Date Ideas! My first post on this blog was a ‘day in the life’ post (you can read it here). I re-read it recently (inspired by Kelly’s Show Us Your Life series), and so much has changed since May of 2011! Thus, I’ve decided to repeat it. Morning at home- wake, nurse Nemo, put dinner in the crock-pot, get Mabel washed up and dressed, get ready for work, kiss hubby and baby, gas up the car, drop Mabel at preschool, and head off to work. Evening at home- nurse baby, cook the rest of dinner, tag team baths for both kids with Mac, sing lullabies, say prayers, tuck in Mabel, nurse Nemo, tuck in Nemo, tuck Mabel in again, and again, and again until she’s finally asleep, take 5 min for myself (i.e. work on this post), go to bed. The abridged version of who I am- I’m happily married to Mac*, my husband of 4+ years; we’re raising our 3 year old daughter Mabel* and 9 month old son Nemo*; we live in the suburbs of NYC; now, after decades of schooling, I have my dream job at a biotech company doing cancer research. I started this blog almost 2 years ago, and it’s been a lot of fun. I started it because I love reading other people’s blogs, keeping up with their lives, trying their recipes, learning from their experiences, enjoying their photos and stories. So, I thought I’d give it a whirl, with a science spin. I’m blessed with a wonderful husband who juggles freelance work and being a stay at home dad (which has major perks and lets me work full time at the aforementioned dream job). I’m enamored of my preschooler who brings joy to everyone she encounters (which makes me jealous of the time I miss with her while at aforementioned dream job). I can’t get enough of my little guy and cherish the time I spend nursing him in the evenings after Mabel is in bed. I’m enjoying married life, motherhood, and (for the most part) my research. I’m really looking forward to Spring which means many weekends at the family camp in the Catskills. Online I love reading ‘mommy’ blogs and science blogs, I get worked up over the public misunderstanding of science, I shop for bargains, and I blog about the science side of motherhood (like cord blood banking, breast feeding, vaccinations, C-sections, VBACs, etc). I suppose this is my take on the ‘mommy blog’- a ‘SciMom‘ blog- that I think captures all the aspects of my life– being a wife, a mother, and a scientist. Whether it’s oncology, marriage, or parenting, I’m working on getting it all down to a science. *Blog pseudonyms. Mabel and Nemo were actually the nicknames we used for them when they were in utero. This is somewhat belated, but inspired by Kelly’s Show Us Your Life topic this week, I decided to post it. Perhaps it’s the scientist in me, but I like to document things, particularly with photos. I love to see the changes over time. I love to look back and remember- recording things as we go. I posted last year about Mac and I taking an annual anniversary photo, here. We did it again this year, over Columbus Day weekend, so here is the updated version! 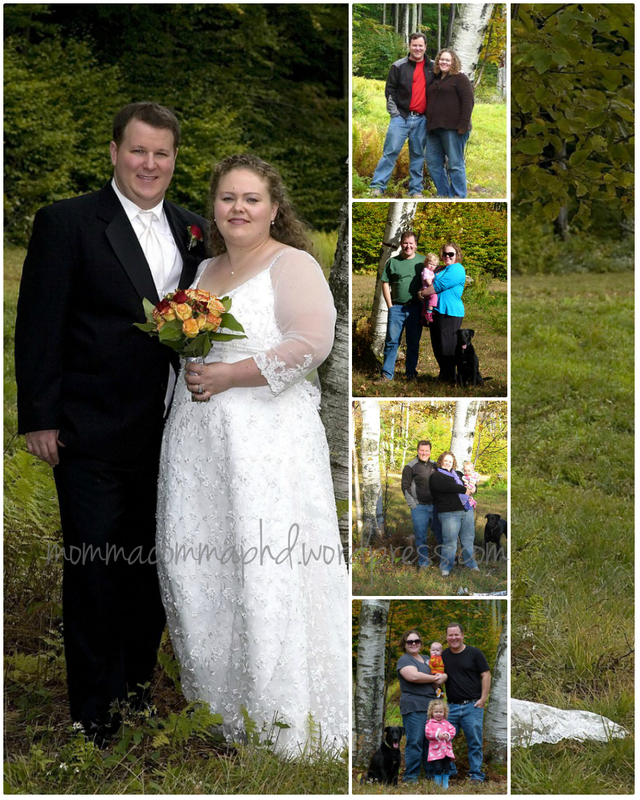 The largest photo was taken on our property in the Catskills on our wedding day in late September 2008. We’ve taken a picture in that same spot each year since to document our growing family. In 2009, I was pregnant with Mabel on our first anniversary. In 2010 Mabel was in the picture with us. In 2011, I was just a few weeks pregnant with Nemo. This year, our fourth anniversary, we had Mabel and Nemo with us! I love looking back. Wonder what next year’s photo will capture! I’ve written before, here, about the monthly onsies that I used to document Mabel’s first year and the rapid changes she made. 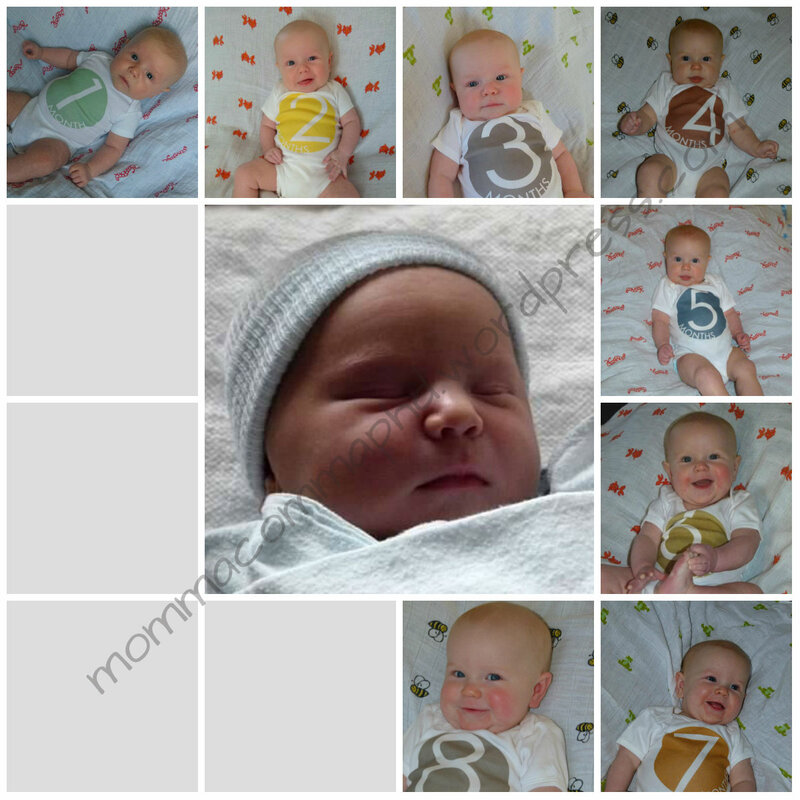 Even though she just turned 3 YEARS old last month, I STILL haven’t gotten the pictures into the frame I registered for before she was born. Now that Nemo is almost 9 months old, I’m figuring I might as well wait until he’s a year and I have all his photos, then I can do both at the same time! I’m so glad that I took the time and expended the effort to take the pictures of Mabel. I look back at the arrayed photos and just smile at how she was and how she’s changed. I don’t want to be accused of neglecting my second child, so I have kept up the effort with Nemo. When I was putting these two collages together, it was amazing how similar they look at the various ages. What’s really funny is that Mabel was super cranky and uncooperative for her 7 month photo, so the best shot I got was her fussing. 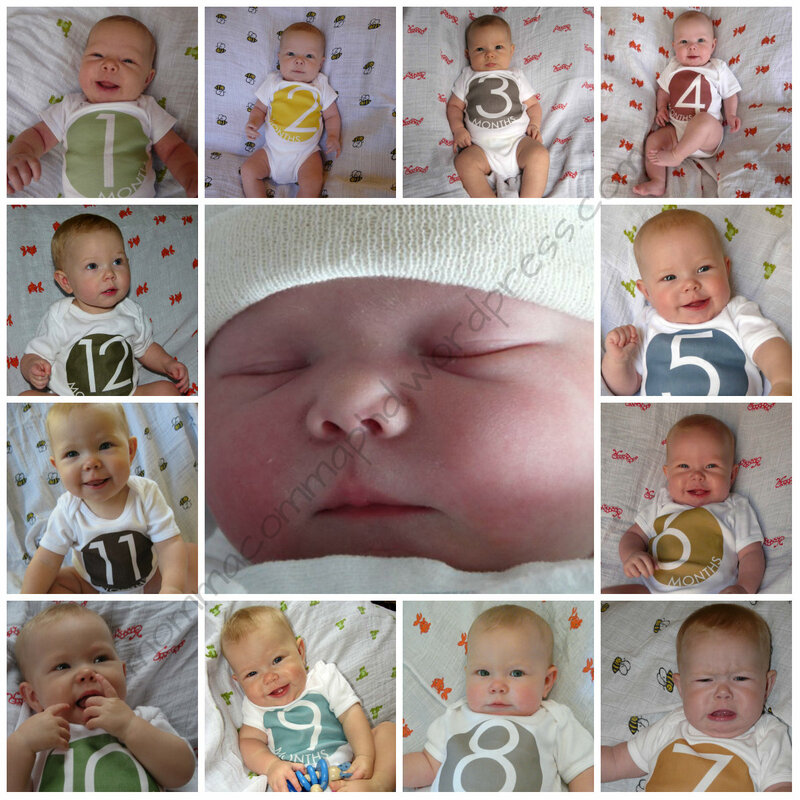 Guess who did the same thing for his 7 month photos? Nemo. I considered putting in the picture of him crying, but since I did manage to catch him smiling, I used that one instead. I’m so glad the picture frame with the slots for all the photos was still available (I have two of these Pearhead Time Frames) so that I can have both kids’ pictures matching. Soon we plan to have Nemo and Mabel share a room, and I think it will be sweet to have both frames hanging in their room. In addition to taking these photos every month, I took (am taking) both kids for pictures at 3 months, 6 months, 9 months, and 12 months at either JC Penney or Sears Portrait Studio. After 12 months, I’ve just been going each year for a birthday portrait. I ALWAYS use coupons, and am usually good about not spending more than $20 (which is totally feasible with the coupons! See JCP coupons here, and Sears coupons here). I’m not sure how long I’ll keep up the birthday portraits, since once the kids start school, we will get a picture each year, plus we go as a family for a Christmas portrait each year. In the meantime, I cherish these! 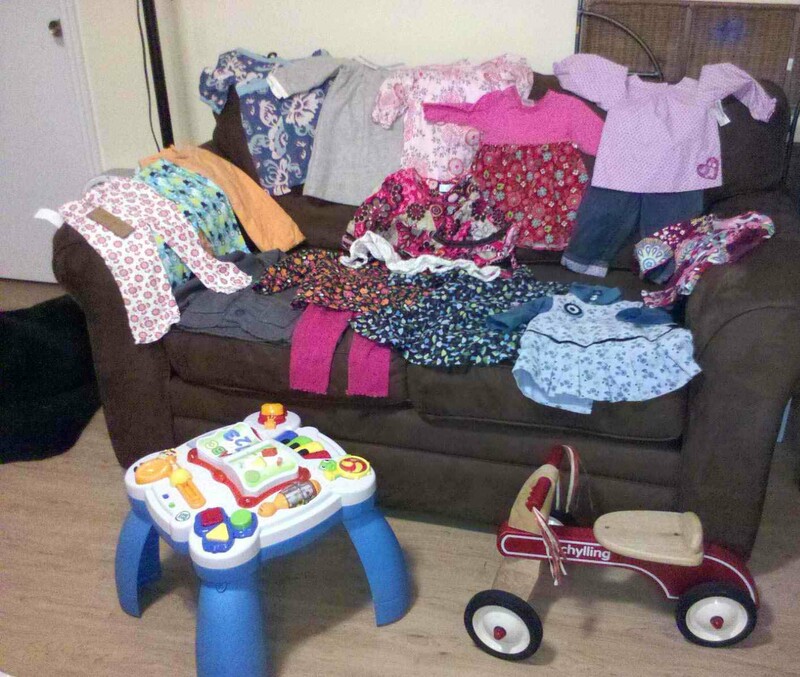 This post was inspired by Kelly’s Korner: Show Us Your Life link-up. My front porch is nothing special. Not particularly beautiful. Not architecturally remarkable. Nothing makes it special except for the memories it holds. 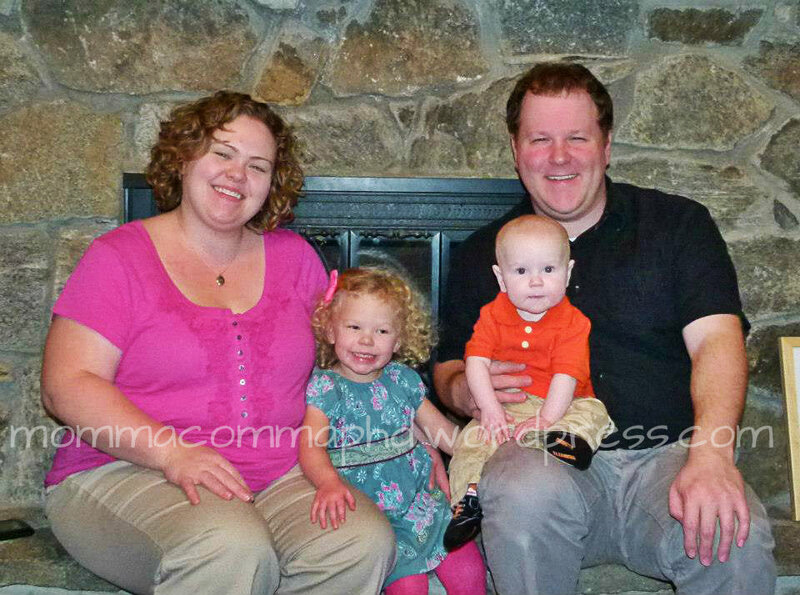 Our little family shortly after we moved in, March 2011. Mabel just before she turned 2, on a particularly warm December day. A good spot to stop and smell the flowers. 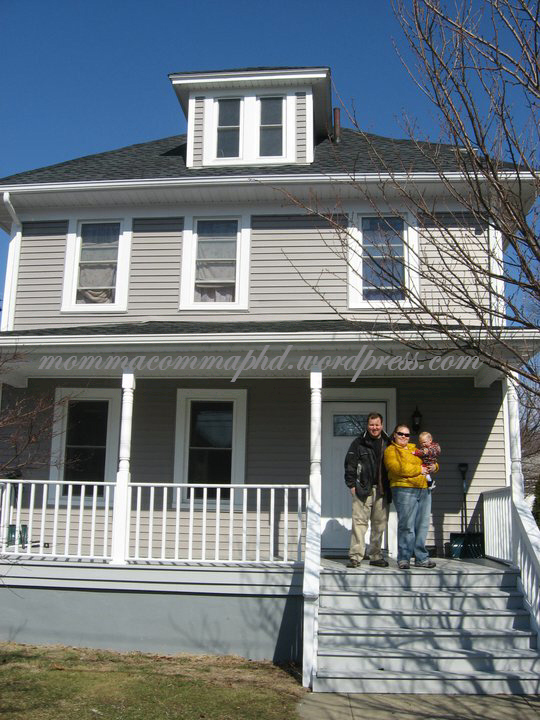 So, as you can see, the porch isn’t anything special, but it’s ours! 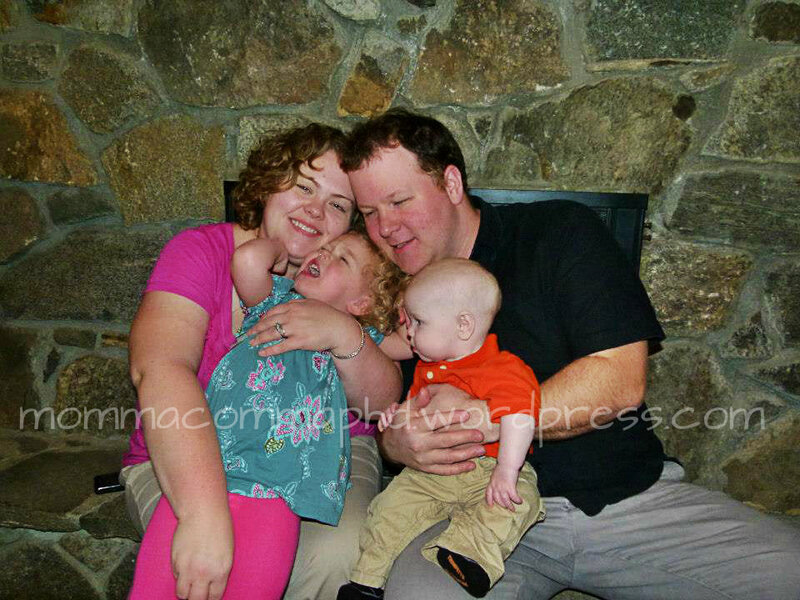 This post was inspired by Kelly’s Korner Show Us Your Life Series. This is part of the Show Us Your Life series at Kelly’s Corner. This week’s topic is: Ideas for preserving memories – kid’s artwork. Just recently I picked up a set of water colors for Mabel at Dollar General, for $1. She tried them out for the first time (her first time painting) just a couple of weeks ago. When she was finished, I wrote her name on it, as well as the date, and her age (19 months). I know that my mother has a bunch of my artwork at home and there’s either no date, or only a date- meaning you have to calculate in your head my age at the time. So, I’m writing both her age and the date on the stuff she makes. Another thing I’m planning to do is to take a picture of her with the artwork. This is an idea I saw somewhere, but cannot, for the life of me, remember where. I think it will be really cute to look back and see her with her ‘art.’ It also means if there’s a photo of the ‘art’ I don’t actually have to save it- I can use it to wrap a present, give it away, or eventually toss/recycle it, and we’ll still have a digital version for posterity. Finally, there is something that will be on my Christmas list this year: The Lil Davinci Art Cabinet. I stumbled across this on Amazon years ago- and actually gave it as a gift to my cousin and a friend who gifted us a copious amount of baby-related hand-me-downs before Mabel was born. It gets really good reviews on Amazon. The way it works is that you mount it on the wall, the front opens like a cabinet, and it has some brackets within to hold multiple pieces of art, one on top of the other. So, as your child creates more, you can keep adding and have it all displayed and stored in one safe place. It comes in multiple sizes, but I think I’ll get the 8.5″x11″ since that’s the standard size of a piece of paper. So, those are my intentions since Mable has only just started to really enjoy drawing, coloring, and painting.